After winning the assurance of sales persons and customers alike, METTLER TOLEDO JP jewelry and gold scales have been chosen to be used at the internationally esteemed and highly successful Dubai Duty Free. JP jewelry and gold scales will soon be used at the internationally esteemed and highly successful Dubai airport duty-free zone. The ease of use that is the hallmark of all METTLER TOLEDO balances allows sales people to check weights quickly and easily. METTLER TOLEDO is pleased to announce that its JP jewelry and gold scales will be used at Dubai Duty Free shops in Dubai International Airport. Dubai Duty Free showcases tens of thousands of products and is one of the largest airport retailers in the world. Becoming the gold and jewelry balance of choice is no small feat in the busy trade center where service is prized. METTLER TOLEDO is very pleased that Dubai Duty Free is highly satisfied with the accuracy and usability of METTLER TOLEDO JP Jewelry and gold models and has chosen to make them their preferred scales in operation. Why Does Dubai Duty Free Require Scales at the Point of Sale? In most parts of the Middle East, gold and jewelry are traditionally sold by weight not just when wholesaling, but also when selling to the public. Customers want assurance that they are getting a fair price and are receiving what they pay for. The ease of use that is the hallmark of all METTLER TOLEDO balances allows sales people to check weights quickly and easily. The scales’ requisite ability to show results on dual screens provides total transparency to customers. JP scales offer the industry-standard weighing range of 3 kilograms down to 0.01 grams. Sales people who tested METTLER TOLEDO trial scales in Dubai were immediately impressed by their stability and repeatability. METTLER TOLEDO's JP scales’ distinctive green display has quickly come to mean ‘It’s a METTLER TOLEDO, it’s one of the best’ for many in the region. At Dubai Duty Free, sales people have noted they feel confident using the scales and appreciate their look and feel. Accuracy and repeatability are assured in JP balances through a state-of-the-art design that includes METTLER TOLEDO’s fully automatic calibration technology (FACT). This feature helps to ensure that scales used in high-traffic locations can weigh accurately at all times regardless of humidity, temperature, air currents, and other potentially interfering environmental aspects. As passengers from all over the world continue to flock to Dubai Duty Free for world-class service and solid deals on jewelry and gold, Wolfensberger is pleased that they will now see the METTLER TOLEDO mark – a sign of quality, precision and innovation. 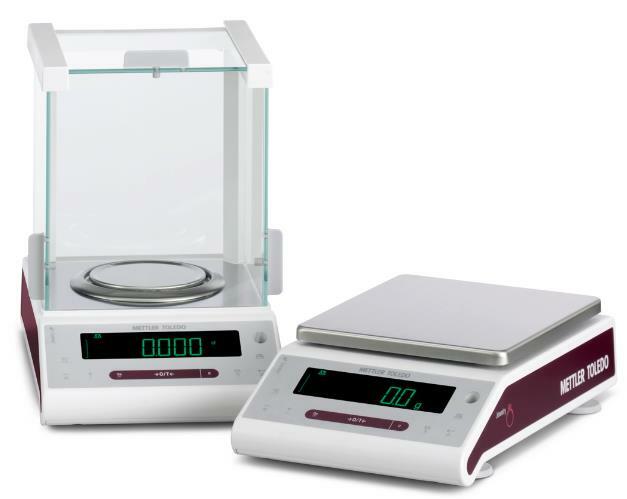 For more on METTLER TOLEDO jewelry and gold scales, as well as its other quality products and services, please visit http://www.mt.com.